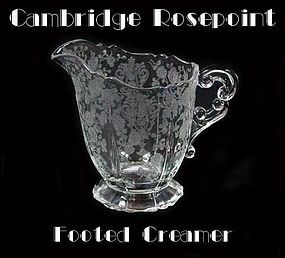 This Cambridge Wildflower 3500 individual creamer and sugar are in excellent condition! The price for the pair is $22.00. 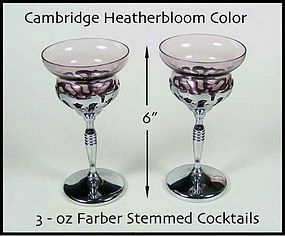 Cambridge Farber Tall 3oz Heatherbloom Goblets-Nice! 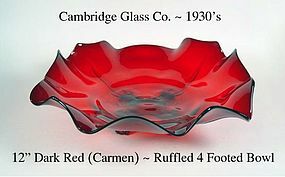 This Farber Ware metal stem cocktail with a Heatherbloom Cambridge Glass insert is in excellent condition. 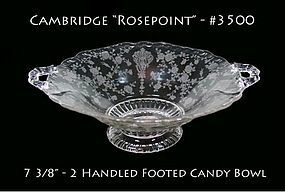 We have 2 of these available in unused, but unpolished condition for $18.00 each. You won't find them in any better condition! 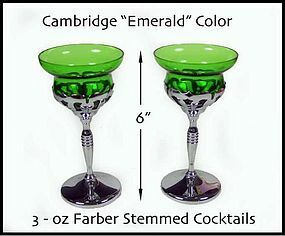 Cambridge Farber Tall 3oz Emerald Green Goblets-Nice! This Farber Ware metal stem cocktail with a Emerald Green Cambridge Glass insert is in excellent condition. 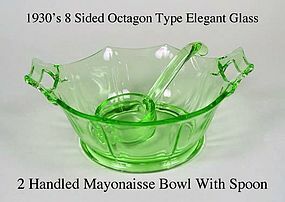 We have 2 of these available in unused, but unpolished condition for $12.00 each. You won't find them in any better condition! 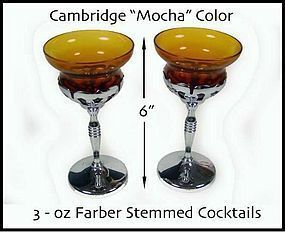 Cambridge Farber Tall 3oz Mocha Goblets-Nice! 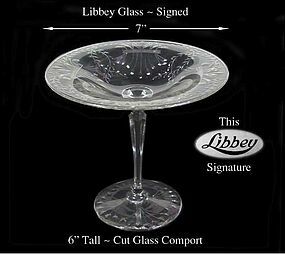 This Farber Ware metal stem cocktail with a Mocha or dark amber Cambridge Glass insert is in excellent condition. 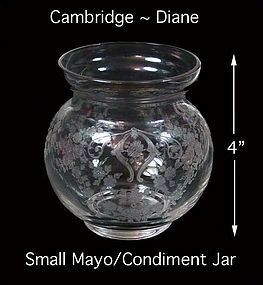 We have 2 of these available in unused, but uncleaned condition for $12.00 each. You won't find them in any better condition! 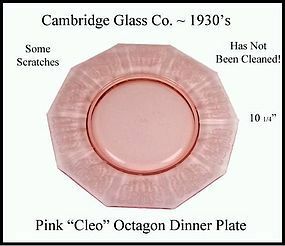 This pink Cleo 10 1/4" dinner plate was made by Cambridge Glass Co. in the 1930's. 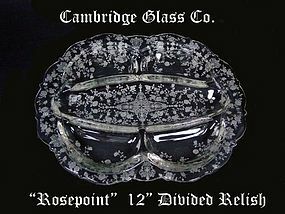 There are no chips, but there is some scratching on the center area of the plate. It has not been cleaned, so some of it may clean well. 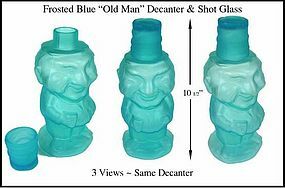 This frosted blue "Old Man" figural glass decanter and shot glass are in excellent condition! We are unsure of the maker. 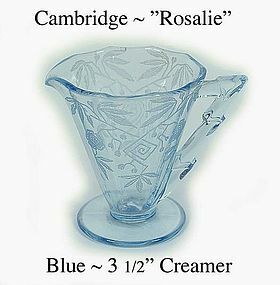 The photo shows 3 views of the same decanter. 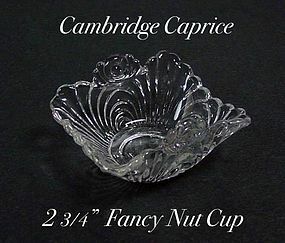 This small fancy Cambridge Caprice crystal fancy nut cup is in excellent condition. Really nice piece! 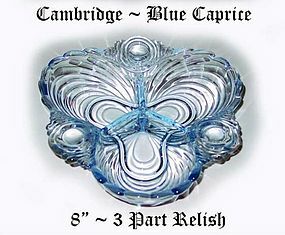 Cambridge Glass Blue Caprice 8 inch 3 Part Relish-Nice! 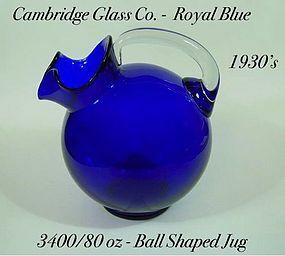 This blue Caprice 3 way divided relish was made by the Cambridge Glass Co in the 1940's. It is in excellent condition with no damage to report. 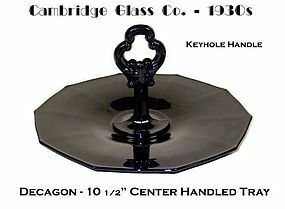 This Ebony Decagon center handled sandwich server was made in the 1930's by Cambridge Glass Co. and is in excellent condition!